Day 53 of Bigg Boss 12, not surprisingly, kicked off with everyone in the Diwali mood. Everyone woke up to the Diwali song and even dressed up traditionally for the occasion. But like the last episodes, this one too was filled with loads of drama, albeit with a lot of emotions. It was first time for many, who were celebrating this festival without their family. And in this episode, we saw many getting an opportunity to interact with him but not without a twist. Not everyone got this chance to see their family and Romil Chaudhary despite receiving it, decided to give it away to Somi Khan. WHY? Well, because Romil Chaudhary felt that it was more important for Somi Khan to meet her family as she hasn’t been letting out her feelings for the past few days. The entire episode revolved around the opportunities contestants received to meet their family. While they were called to the activity room with voices of their family members as an audio file played across the house, the twist was out of the three contestants who were invited to the activity room for meeting their family, only one of them gets to do. The same started with Shivashish, Karanvir Bohra and Surbhi Rana coming to the room. While Shivashish continued to insist that Surbhi sees her family, after initial hesitance, Karanveer too agreed to it. They unanimously decided to give Surbhi a chance. Not surprisingly, video chatting with her family left Surbhi completely emotional and she cried her heart out. It wasn’t much different for Jasleen Matharu who met her father, who has been facing the storm outside after his daughter was rumoured to be dating veteran singer Anup Jalota. Jasleen had entered the activity room with Somi and Megha and the duo had sacrificed their chances to let Jasleen have a chance to talk to her family. Similarly Deepak got a chance after Sreesanth and Rohit let go off their chances, whereas, Dipika and Srishty let go off their chances so that Romil can meet his son. Here’s when Romil decides that he will give his opportunity to Somi who had sacrificed her chance for Jasleen. This gesture leaves housemates in a surprise since Romil has been missing his little son for long. Yet, he decided to give away his chance. Somi, too is surprised and is later called by Bigg Boss to meet her family on video call. As soon as she sees her family, Somi bursts into tears and she continues to cry until the end of the conversation. In the emotional avatar, she comes out and hugs Romil for this opportunity. Despite the strong face he puts up, Romil continues to miss his son and is unable to control his tears. However, his gesture earns him respect from all housemates. Karanvir Bohra, is in fact, seen discussing about this in the later part of the episode with Srishty and Shivashish wherein he appreciates and applauds the sacrifice of Romil. 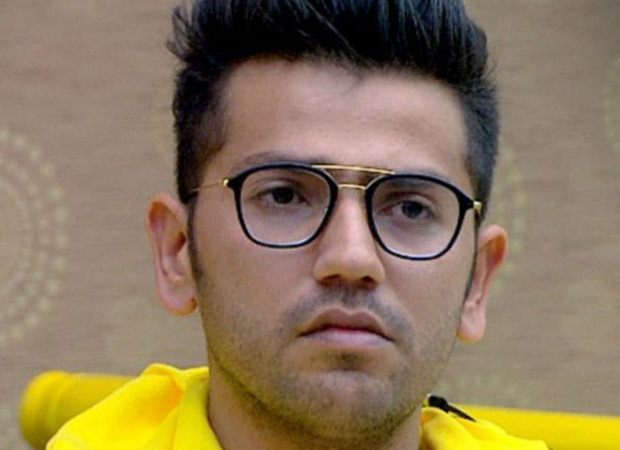 Romil, also confronts Dipika and Srishty, who had sacrificed their chance of meeting the family and apologizes to them. He explains about why he thought it was important for Somi to meet them as she hasn’t been letting go of her emotions and this was necessary. Both of them seem to have agreed with Romil’s decision. After these emotional confrontations and interactions, the Diwali celebrations continue with all the housemates, getting dressed up and dancing etc. when they get an unexpected guest. It is astrologer Sanjay Jumani. While the numerologist gets into a chat with the contestants and discusses their future, amongst them is also Jasleen Matharu. On the other hand, the budding friendship between Srishty Rode and Rohit Suchanti sees a crack after the duo get into an argument. Srishty asks Rohit if he has ever told anyone that she is in the show because of him. Although he vehemently denies it, she continues to question him and she is seen quite upset with it. The show ends with inmates discussing strategies of further captaincy and with teams being divided between Karanvir Bohra and Romil Chaudhary as lead contenders.